A real slog in the Uttoxeter mud over 4m2f is never for the faint-hearted. Back To The Thatch, who looked the ideal candidate for this marathon 12 months ago only to be pulled up behind Regal Flow, gets another chance to shine. Runner-up to Chef D’Oeuvre at Haydock in December, he appears to have been primed for this day. Trainer Henry Daly said: “Soft ground won’t be a problem and nor will the trip. Everything seems to be about right. Ms Parfois was strongly fancied for the Ladbrokes Trophy Chase at Newbury in December but ran below expectations. Runner-up to Rathvinden in the National Hunt Chase at Cheltenham last March, she competes off the same rating this time, and trainer Anthony Honeyball, who has his team in much better form now, is upbeat about her putting that Newbury disappointment behind her. Nigel Twiston-Davies, who won this race with Baron Windrush in 2007, has another strong candidate this time in recent Carlisle winner Arthur’s Gift. The strong-galloping eight-year-old powered up the hill over 3m that day to slam Len Brennan by five lengths, looking the type who could find further improvement for this step up in trip. Regal Flow landed a memorable double in this week last year when following up an impressive Taunton win on the Monday by taking the Midlands National by ten lengths from Milansbar. He hasn’t recaptured that form so far this term, but there were more encouraging signs in that same Taunton race five days ago when he finished third to Samuel Jackson. It will be the first time this season he’ll have the really testing ground he wants. We know he stays, so there will be no excuses. He ran quite well at Ascot last time behind some real good horses. That performance showed us that he needs further – he was doing his best work at the finish. He’ll like the ground and goes there in good order. He’ll relish the very soft ground and the step up in trip. He should run very well. He’s an interesting one. I can’t tell you if he’ll stay, but have a hunch that he might. 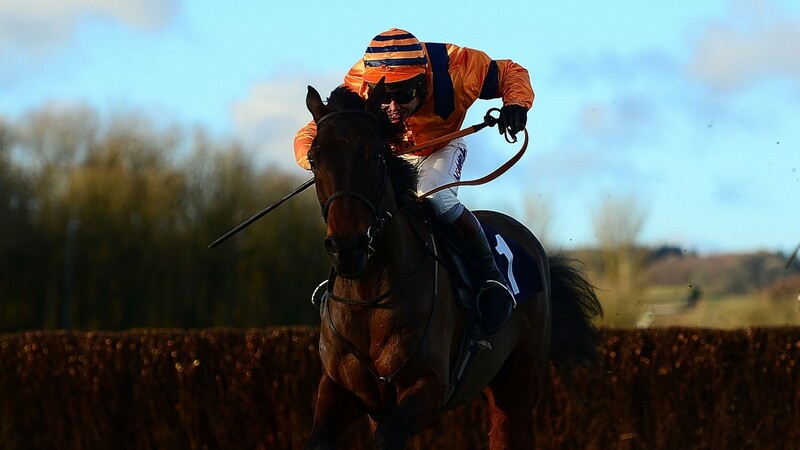 Some of his form isn’t too bad and we feel the Midlands National is worth a punt. It's the first time he'll have his ground all season. I'd be pretty confident he'd get the trip and he's probably one of the least-exposed horses in the field, so fingers crossed he can run well. His form's okay, but the ground is key – he really does need it soft and he's better being ridden from behind and taking our time with him, so this race should suit him a lot. He’s in nice form. I was pleased with his run at Newbury. He stayed on well there over an inadequate trip. He's run well in this race twice before and has a more competitive weight this time. He’s got a proper each-way chance. He should have his ground and is in good form. I hope we’ve got a real each-way chance.